Geek Connections: DOCTOR WHO and HARRY POTTER | Warped Factor - Words in the Key of Geek. They are two of Britain's biggest franchises. One of them dominated the big screen for a decade, whilst its source material set cash registers alight around the world. The other has dominated the small screen for the last ten years, growing in popularity and conquering all four corners of the globe. Argus Filch and Solomon (Dinosaurs on a Spaceship). 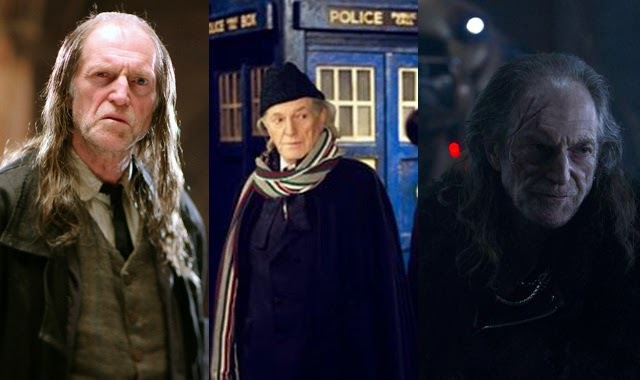 David Bradley also played William Hartnell/the First Doctor in An Adventure In Space And Time, plus he voiced the Shansheeth in The Sarah Jane Adventures story, Death of the Doctor. 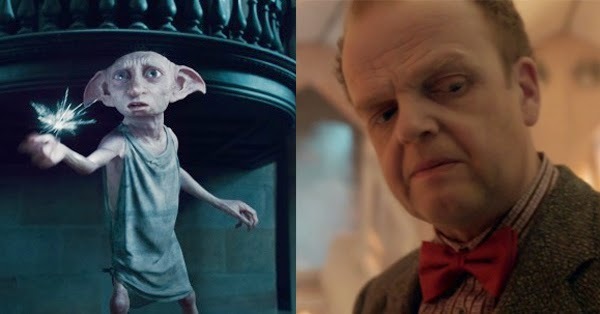 Professor Albus Dumbledore (Prisoner of Azkaban to Deathly Hallows Part II) and Kazran & Elliot Sardick (A Christmas Carol). 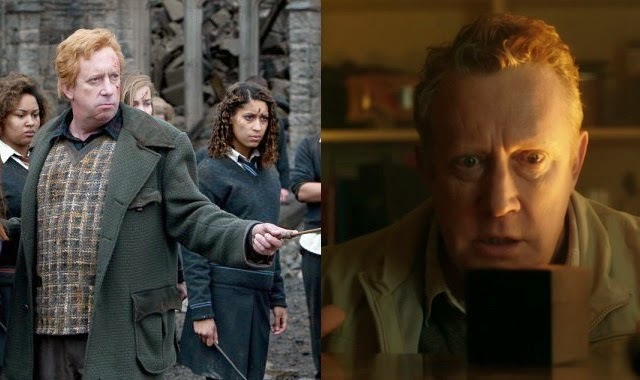 Arthur Weasley and Brian Williams (Dinosaurs On A Spaceship & The Power Of Three). 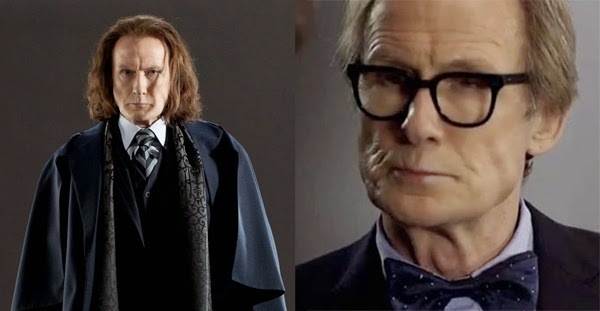 Minister Rufus Scrimgeour (Deathly Hallows Part I) and Dr. Black (Vincent and the Doctor). 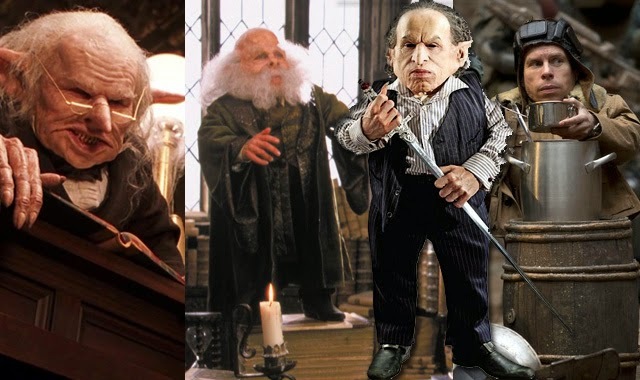 In the Harry Potter movies Warwick Davis has played the Goblin Bank Teller, Professor Fillius Flitwick and Griphook. 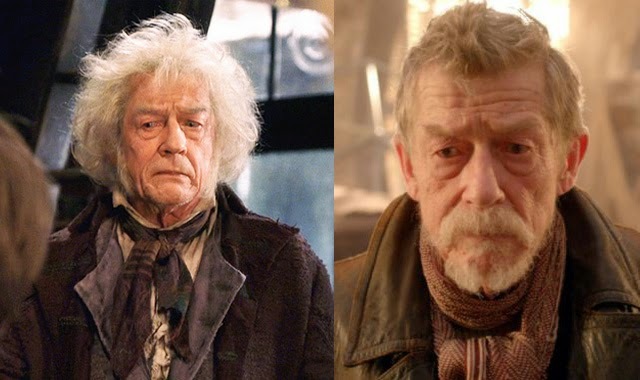 He appeared as Porridge in the Doctor Who episode Nightmare In Silver. Nearly Headless Nick (The Philosopher's Stone and Chamber Of Secrets) and Art Gallery Visitor (City Of Death). 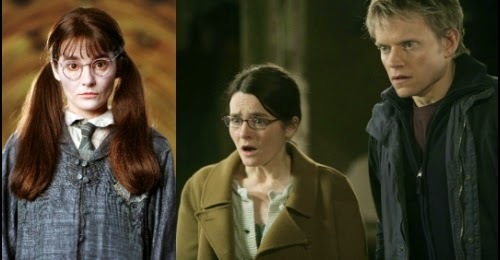 Moaning Myrtle (Chamber of Secrets and Goblet of Fire) and Ursula Blake (Love and Monsters). 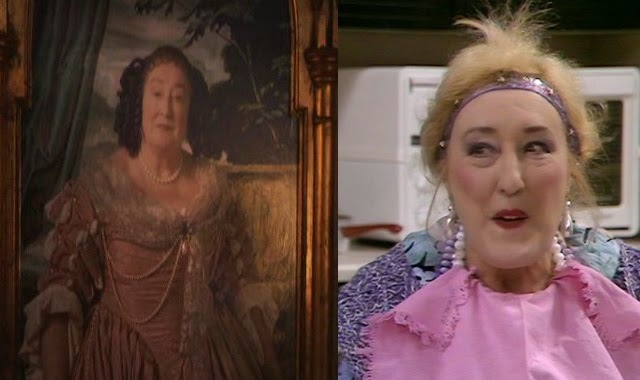 Professor Rolanda Hooch (Philosopher's Stone) and Lady Cassandra (Doctor Who). 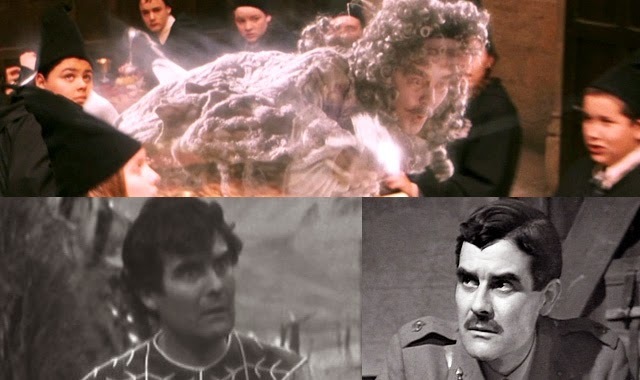 Played the Bloody Baron (Philosopher's Stone) and appeared in two 1960's Doctor Who episodes. 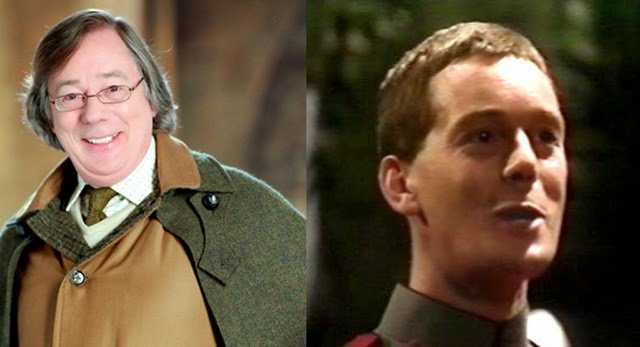 First as Yendom (The Ark) and then as Major Barrington (The War Games). 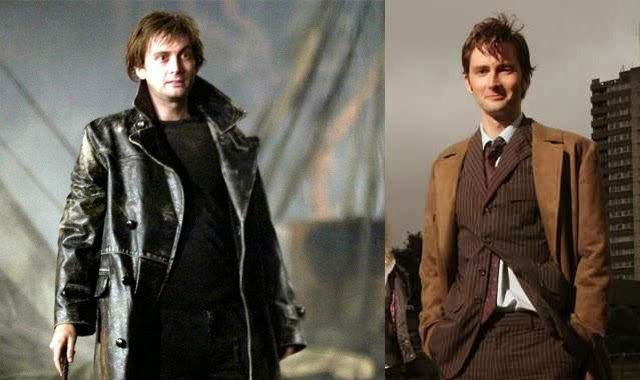 Played Barty Crouch Sr. (Goblet of Fire) and John Lumic (Rise of the Cybermen & Age of Steel). 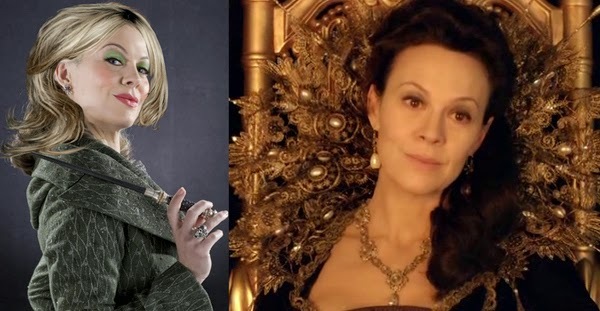 Narcissa Melfoy in Harry Potter and Rosanna Calvierri in the Doctor Who episode The Vampires Of Venice. 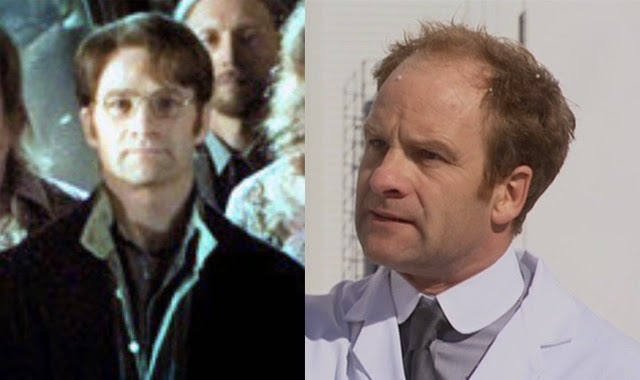 Played Harry's father, James Potter, and Doctor Ryder in Planet of the Ood. 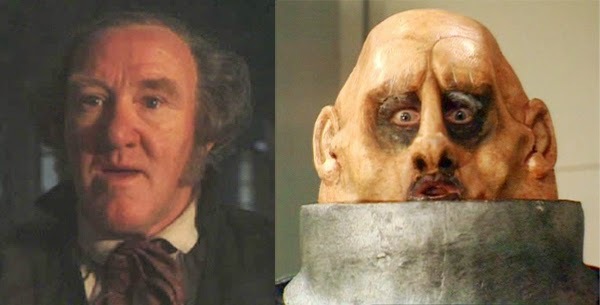 The original Tom The Innkeeper (Philosopher's Stone) and Sontaran Commander Stor in The Invasion Of Time. Amos Diggory in Goblet of Fire, and Plantagenet in Frontios. 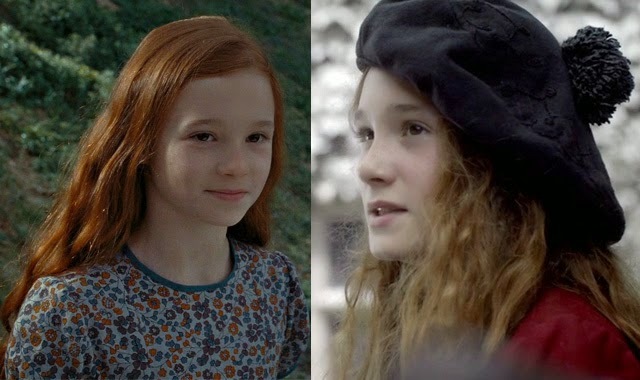 Young Lily Potter in Deathly Hallows Part II, and Francesca Latimer in The Snowmen. She was the "Fat Lady" guarding Gryffindor Tower in The Philosopher's Stone, and Tabby in Paradise Towers. 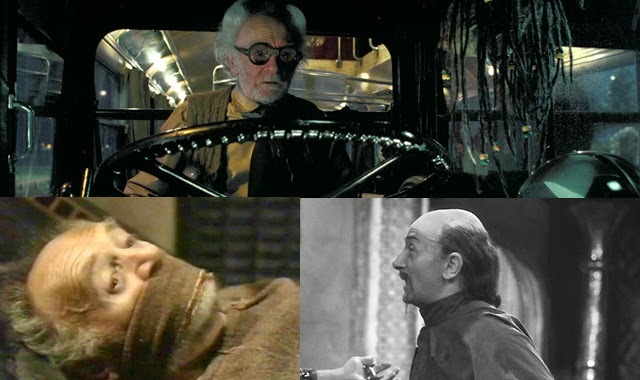 Ernie the Knight Bus Driver (Prisoner of Azkaban), as well as Chenchu (Marco Polo) and Idmon (Underworld). Jessica Hynes (nee Stevenson): Voiced Mafalda Hopkirk in Order of the Phoenix (when seen in Deathly Hallows Part I the character was played by Sophie Thompson), and played Joan Redfern in Human Nature/Family of Blood. Imelda Staunton: Played Dolores Umbridge in Harry Potter, and voiced the Interface in the Doctor Who episode The Girl Who Waited. 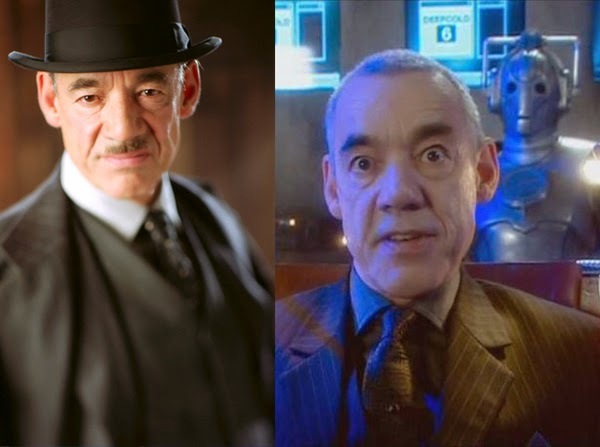 John Atterbury: Played Phineas Nigellus Black in Order of the Phoneix. He also appeared as a Robot in The Mind Robber, and as an Alien Guard in The War Games. Jim Broadbent: Played Professor Horace Slughorn in The Half Blood Prince, and appeared as an alternative Eleventh Doctor in the Comic Relief special The Curse of Fatal Death. Harry Melling: Dudley Dursley in the Harry Potter films, and grandson to Second Doctor Patrick Troughton. Sean Biggerstaff: Oliver Wood in Harry Potter, and provided the voice of Chris Parsons in the 2003 web adaptation of Shada.